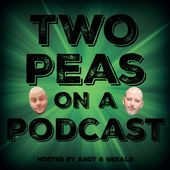 Andy and Gerald discuss Hurricane Harvey, Floyd Mayweather’s 50th win, The Joker, Hillary’s written version of not letting go, Kathy Griffin’s sorry-not-sorry, how to force your kids to talk to you and of course the return of Taylor Swift, along with much more. Join us. Enjoy and share! Find this week’s featured #PodernFamily shows on Twitter @NetflixNSwill and @TheCountdownPC. If you would like to donate to the victims of Hurricane Harvey, text “RedCross” to 90999 from any mobile phone. Intro/Outro: “Look What You Made Me Do” by Taylor Swift. 2017, Big Machine Label Group, LLC. All Rights Reserved.